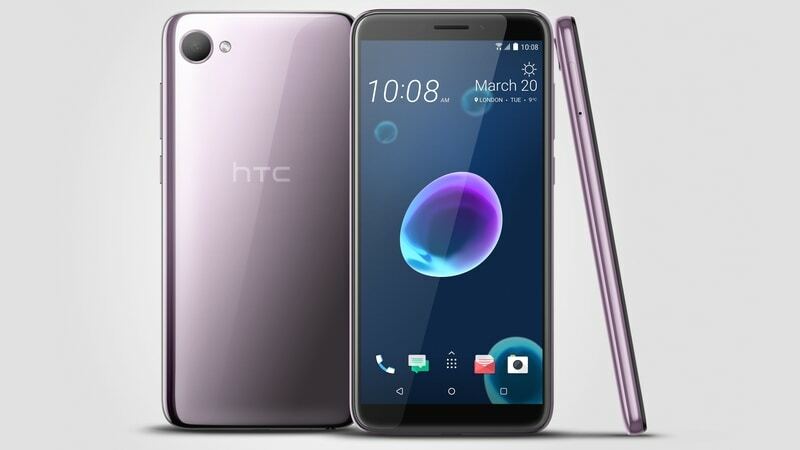 Taiwanese Electronics Company, HTC has launched the Desire 12 and Desire 12+ smartphones with display of 18:9 ratios in Indian market. These two smartphones are launched worldwide in March. Desire 12+ smartphone offers dual camera and a LED flash on a front camera. These two smartphones will be available online through HTC India E-Store and also in retail stores. Specifications of Desire 12 – The Desire 12 smartphone offers a 5.5-inch HD+ with a resolution of 720×1440 pixels IPS display with an 18:9 aspect ratio. It has a quad-core MediaTek MT6739 SoC and a 3GB of RAM. The device also offers 32GB of storage which is expandable up to 2TB by using microSD card and is back up by a 2730mAh battery. The smartphone comes with a camera of 13 megapixel BSI sensor with PDFA, LED flash an f/2.2 aperture is placed on the rear. There is another camera is placed on the front of 5 megapixel BSI sensor with an f/2.4 aperture. It operates on HTC Sense based on Android and support dual-SIM. It has several features such as 4G LTE, Wi-Fi 802.11 a/b/g/n, Bluetooth v4.2, GPS/ A-GPS, Micro-USB, and a 3.5mm headphone jack. There are several sensors on the smartphone such as ambient light, proximity sensor, motion G-sensor, and a magnetic sensor. The size of the smartphone is 148.5×70.8×8.2mm, and weighs 137 grams. Price detail of Desire 12 – The Desire 12 smartphone will be available from HTC India E-Store in Cool Black and Warm Silver color at a price of Rs 15,800 in India. Specifications of Desire 12+ – The Desire 12+ smartphone offers a 6-inch HD+ with a resolution of 720×1440 pixels IPS display with an 18:9 aspect ratio. It has an octa-core Qualcomm Snapdragon 450 SoC and 3GB of RAM. It operates on Android 8.0 Oreo with HTC Sense and support dual-SIM. The device offers 32GB of storage which is expandable up to 2TB by using microSD card and is back up by a 2965mAh battery. The smartphone comes with a dual camera of 13-megapixel primary sensor and another 2-megapixel sensor. Dual camera has several features such as f/2.2 aperture, Bokeh mode, Panorama mode and Face detection. There is another camera is placed on the front of 8-megapixel BSI sensor with an f/2.0 aperture. It has also several features such as HDR and Beauty mode. The front camera is also used for selfies. The device has several attractive features such as 4G LTE, Wi-Fi 802.11 b/g/n, Bluetooth v4.2, GPS/ A-GPS, Micro-USB, and a 3.5mm headphone jack. There are also several sensors in the smartphone such as ambient light, proximity sensor, motion G-sensor, and a compass. It has also fingerprint sensor is placed on the back. Its size is 158.2×76.2×8.4mm, and weighs 157.5 grams. The smartphones will be available in all over India on June 11. Previous Post Do animals also dream, like humans do? Next Post What are the differences between MySql and MongoDb?